Every week we publish a gallery of readers' pictures on a set theme. 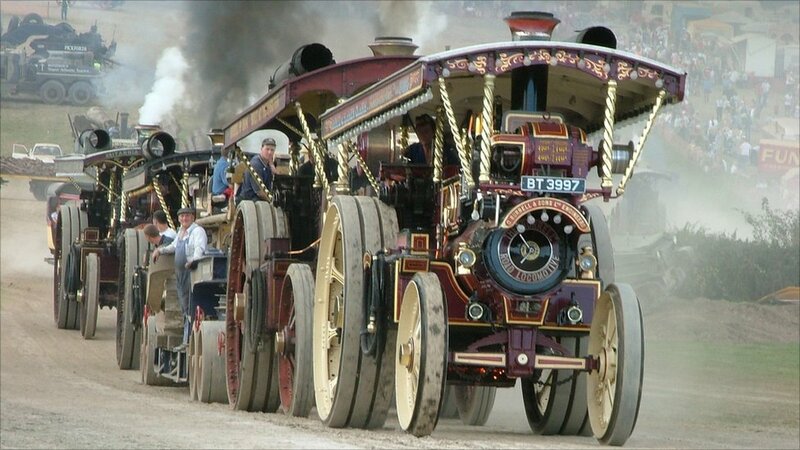 This week the theme was heavy and we start with a photograph taken by Ju Barnecutt, who said: "Four Burrell show engines managed to pull a load of approximately 80 tonnes up the hill at the Great Dorset Steam Fair, a sight never seen before as they normally generated electricity for the fairground." Julie Holmes: "En route to Everest base camp our guide tries to place the weight of the load of one of the sherpas, and struggles. 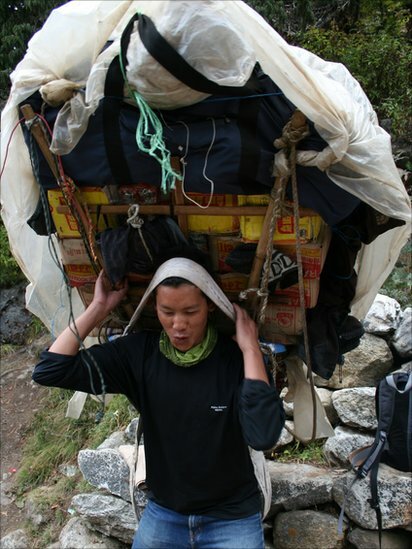 The sherpas carry their load of supplies for days in the high altitude and extreme conditions." Duncan Holmes: "A fallen tree completely crushed this park railing into elegant curved shapes. 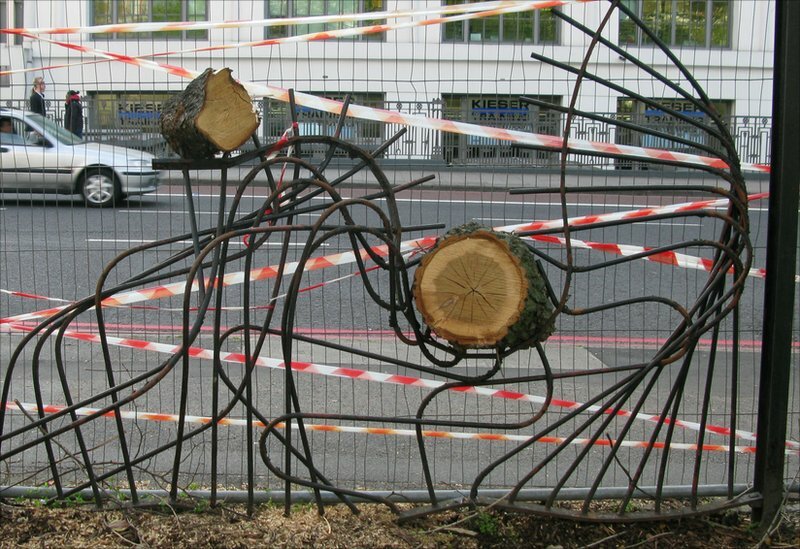 Camden council removed the tree but left slices of log impaled on the spikes." Jorge Sanz: "Very heavy, but delicious, cheeses. 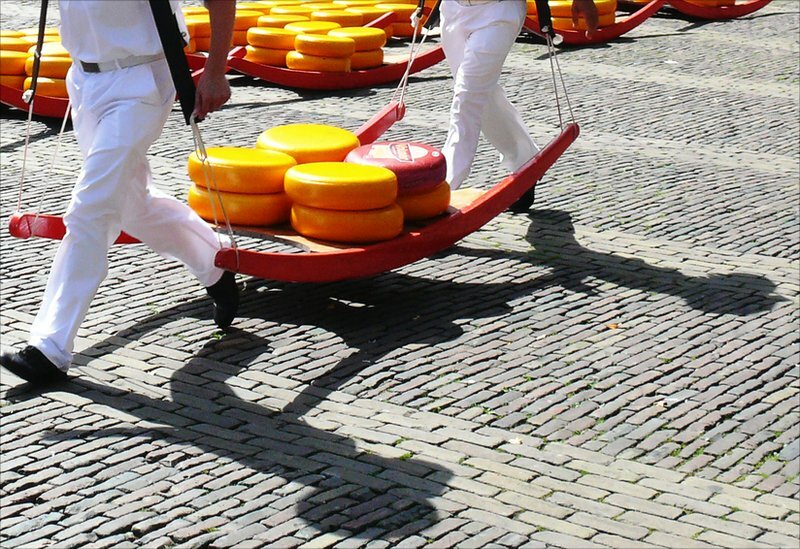 The picture was taken in the cheese market at Allmark in the Netherlands." Brenda Difford: "Taken of a friend as part of one of my themes for photo club. 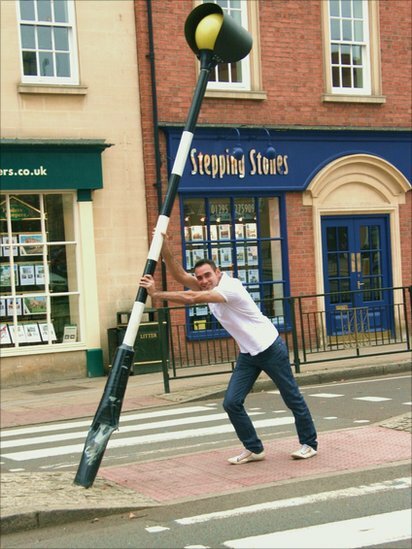 This particular post was not repaired for about six months." 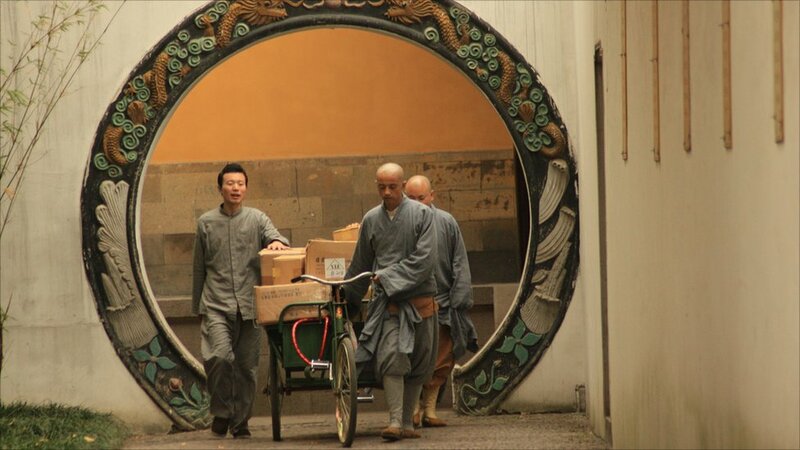 Pauline Richardson: "Too heavy to cycle, so pushing with a little help from friends at West Garden Temple in Suzhou." 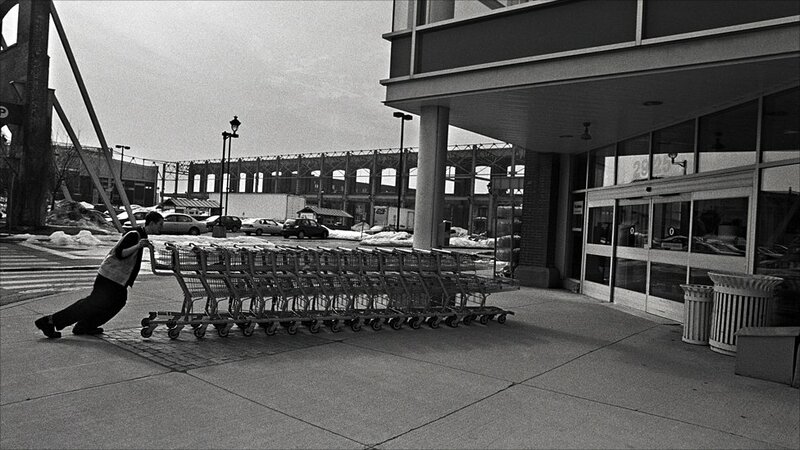 Iva Zimova photographed this man pushing a heavy batch of shopping trolleys. Sampat K Naik: "The heaviest ones sink the most!" 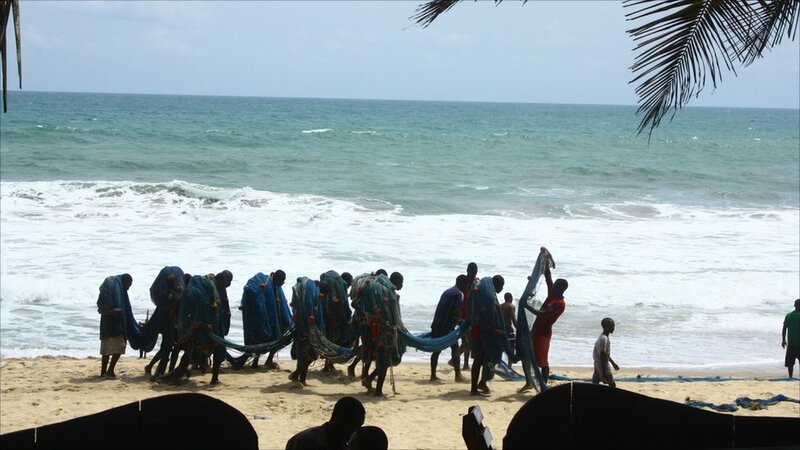 Kwaku Chintoh: "As heavy as the net is, these fishermen in Ghana share the load." 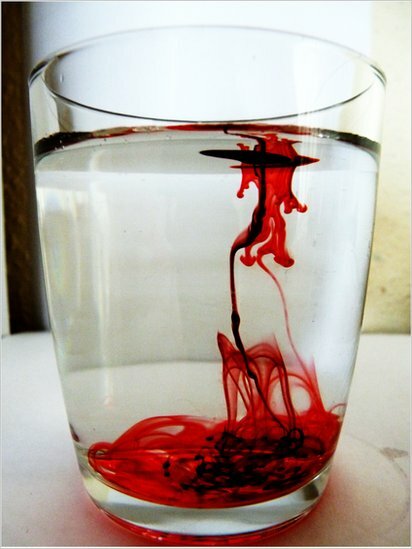 Laura Mabin: "Heavy ink sinking to the bottom of a glass of water." The next theme is defeat. If you'd like to enter, send your pictures to yourpics@bbc.co.uk. Further details and terms can be seen on the photo blog; just follow the link below this gallery.